Lie: I only kind of liked this book. Lie: I’ve read tons of books and stories like this one. Lie: I only have a few things to say about this book. 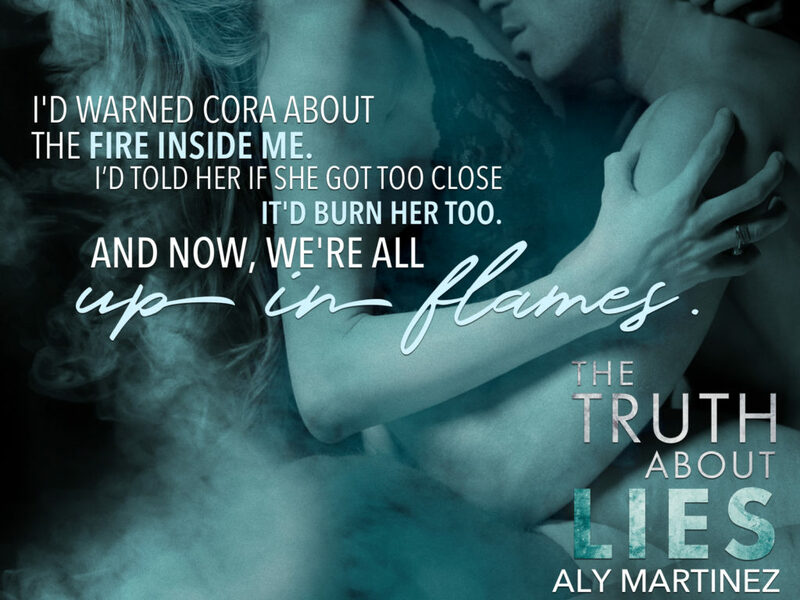 There are so many things I want and need to say about The Truth About Lies by Aly Martinez…and honestly I don’t even know where to start because this book was that damn good that I’m still in literal awe of it days after finishing it. I can’t get this story out of my head. I can’t stop thinking about it. All. The. Time. I can’t stop my brain from wracking itself crazy in the best way with what this book so meticulously and thoughtfully created within its pages. I can’t stop wondering what will happen next as this story concludes. I can’t stop feeling the physical and deeply emotional effect these characters and their story have had on me. I still feel them. I can still feel their pain and emotion and love and fire. I still find myself thinking and wondering about them. I still find myself utterly consumed and enraptured by their presence, their strength and the shear determination and fight they have. I haven’t been able to stop thinking or feeling or living or breathing this story since I finished it. And I love it. I LOVE that I have been owned by this story. I love that what Aly Martinez so exceptionally created in this book has left a permanent mark on me, my head, and my heart. I love that I know this book, this story, these characters, and what I experienced with them will never fully leave me. I love that these characters have become so ingrained with me since I finished their story. I love that there really is no going back for me after reading this story and meeting Penn and Cora. I LOVE that I need the conclusion to their story more than I need my next breath. I love that these characters and this story were so dynamic, so memorable, and so damn special that I find myself wishing I could live in their world forever. This book is one of the best books I have ever read. It has begun one of the most gripping stories I have ever had the chance to experience as a reader. It has addicted me and ensnared me within its grasp, and I honestly never want it to let go. I never want to be rid of these characters, or their moments, or their world because that is how beautifully and epically consumed I am with them. This story is one unlike any other I have ever read. And I feel as if I say that every time I read a book by Aly Martinez, but that statement just continues to become truer every time I say it or type it. Each and every one of her stories are unlike any other I have read or experienced. Each and every one of her stories up the ante. Each and every one of them push me to the edge in a different and magnificent way. Each and every one of her stories makes me feel and live and breathe her the story she is presenting to me in such a dynamic way. With each new book and story and world she creates, this author continues to blow me away. She continues to have me desperate for all of her words and characters and what her brilliant mind can create. 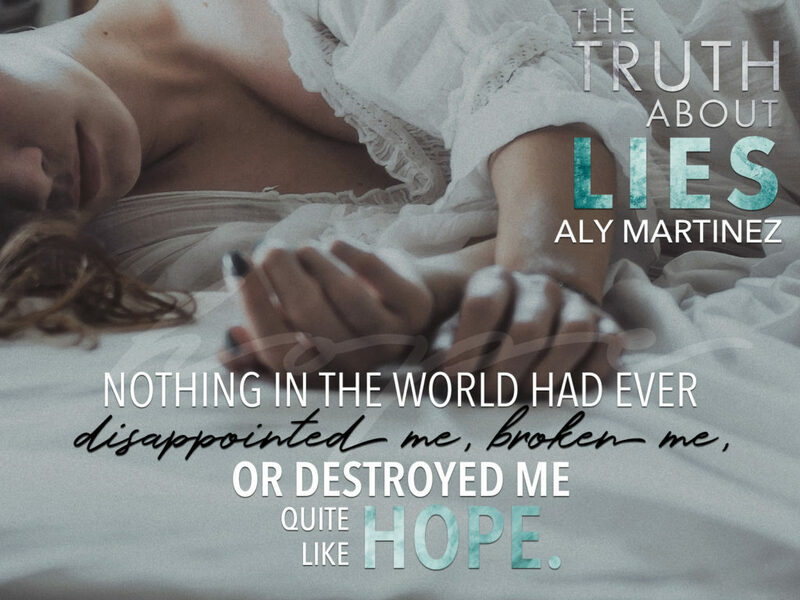 She has me addicted to the emotional murdering her stories bring to life in the most tangible way, and I have truly never been happier to be murdered in feels, than I am when I’m reading a book by Aly Martinez. Her writing and storytelling are truly exceptional, and that was present in every page of The Truth About Lies. This book was EVERYTHING. EV-ER-Y-THING. It was emotional and raw. It was memorable. It was funny as hell in moments, and heartbreakingly sad in others. There are moments in this book that will make you smile, others that will make you angry at what these characters have lived through or what they must continue to fight for, and so many moments that will make you cry all the tears. And I do mean all the tears. (Have your tissues ready.) This book was suspenseful and twisty and turny in a way you will be in no way prepared for. It was written and crafted so thoughtfully, and let me tell you, just when you think you know what’s happening and you’ve got it all figured out, you will be SHOCKED by what that next page or chapter brings. 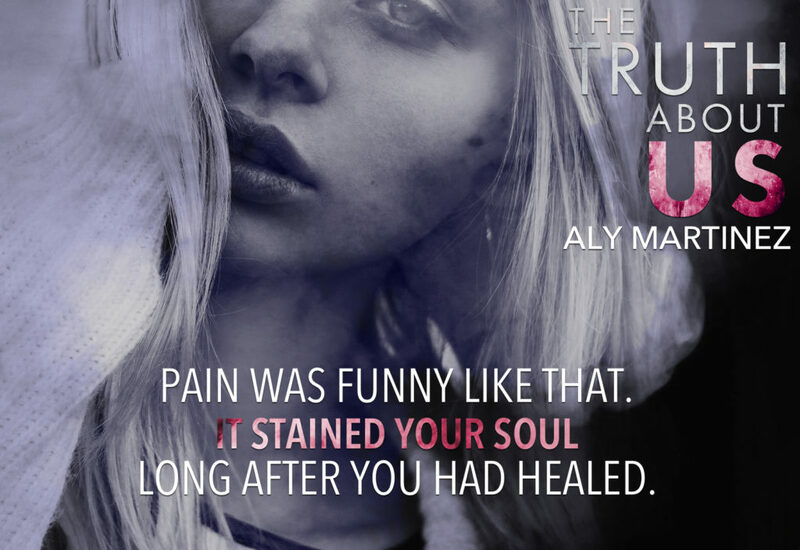 This book has Aly Martinez’s distinctive writing style and voice that perfectly weaves together a story that will literally leave you in awe. You will finish this book with a heart that is bursting for these characters, with lungs that are out of breath from everything this story delivers to you, and with a mind that is reeling in more ways than one because of what you get within the pages of this book. And honestly, that is just part of what makes this such an extraordinary book. I want to tell you all the things about this book and this story and what you’ll get when you read it, but in the same breath I want to tell you nothing because you NEED to experience this book for yourself. You need to just go into, and be ready to be owned by it. You have to read it for yourself, you have to meet Penn and Cora, and experience your own level of addiction with what they give you. Read the blurb for this book or don’t read the blurb, go in blind or read all the reviews, but just do yourself the biggest favor of your life and read this book. It would be such a mistake to miss reading this book and to miss experiencing the epic story it has to give you. When I tell you I loved every word of this book, and that it was one of the best books I have EVER read, I do not say that lightly. Those aren’t just words I’m throwing out there…they’re the absolute truth. I mean that with every part of me. This book, its world, and its characters will give you something unlike any other book you’ve read, and it will own you. It will own your thoughts and your emotions. It will own your heart and your mind. It will own your breaths and every feeling you have. It will own every recess of your mind…and you will love it because I promise you, you have never read a book quite like this one. 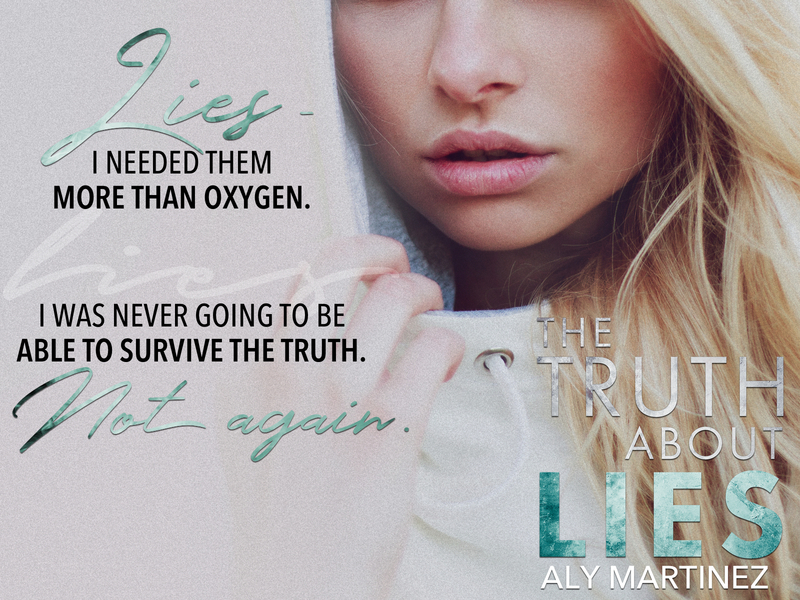 The Truth About Lies is a story that is dark and gritty. It takes place in a world that is measured in moments and minutes and anguish. It is a world full of bad people, horrible circumstances, heartbreakingly hard choices, and a reality that is harder to swallow than any pill. It’s also a world of people doing all that they can to make it better, to make it survivable, to make it okay as it possibly can be. It is the heart and soul of these characters and this world that makes this book what it is. This story is one that presents a world that isn’t always easy, one that is rough inside and out, and one that will hurt your heart more times than you can count with the darkness it brings to these characters lives, but in the same breath this world is one full of little cracks. Little cracks that let the light shine in. Little cracks that let these characters breathe and loosen the things that keep them bound. Little cracks that let one breath in and one breath out. Little cracks that show the shear tenacity and fight these characters have. Little cracks that block out the shadows and darkness of it all, if only for a moment in time. Little cracks that let the truth come in and the lies go out. Little cracks that slowly but surely change everything. Little cracks that start to mean everything. Little cracks that show you and these characters that everything is changing, that everything isn’t as it seems, and that everything is about to get a helluva lot more complicated. It is in those moments, and every other moment in between that will have you in love with every word of this book. It is the moments in this book where you physically feel the twists and turns, the revelations, the shocks, and everything in between with these characters that will have you feeling every word of this book. (And let me tell you now, those reveals will shake you to your core. Literally.) 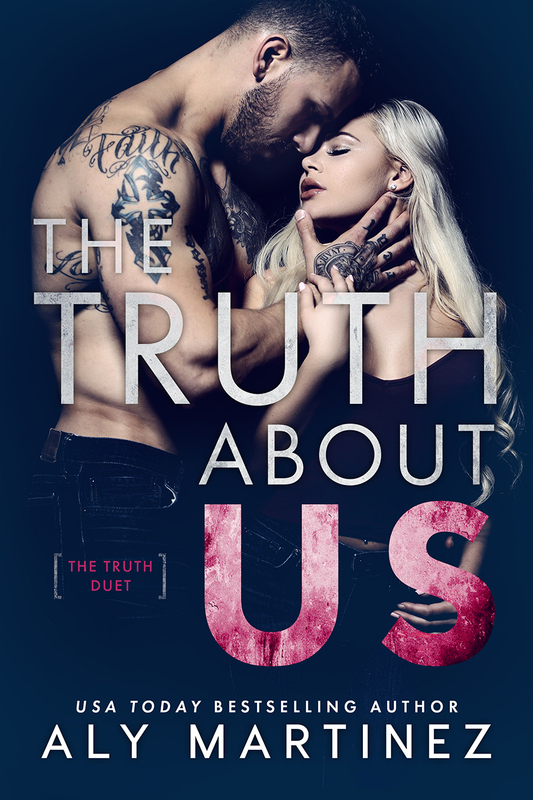 It is the moments with Penn and Cora as they share what they do, as they fight what they’re feeling, as their intensity and connection for one another grows exponentially, and as they start to take that chance that will have you basking in every word of this book. It is in those moments with these characters at their best, at their worst, in their highest of highs and lowest of lows, with every heartbeat and breath in between that will have you knowing that every word of this book is exceptional. It is in those all of those moments, all of those little cracks, all of those instances with Penn and Cora, with Drew and the girls, with River and Savannah, and with every other part and piece of this world that will draw you in like a moth to the biggest flame of your life, capture every single part of you and consume you within it all, and that will have you knowing that this story will be everything. Everything and then some. Everything and then some more. 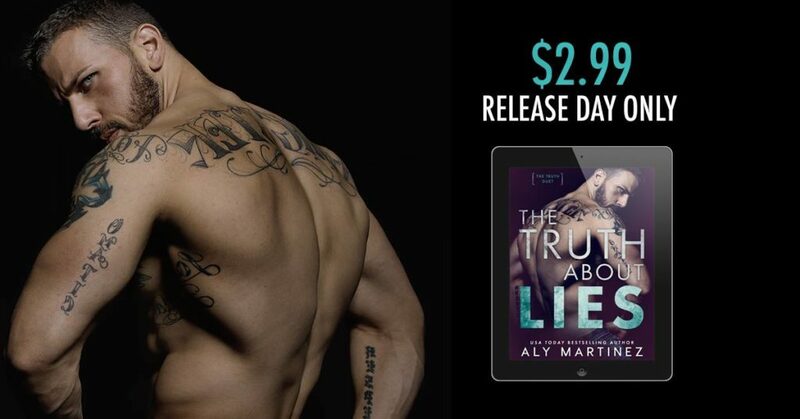 What Aly Martinez so exceptionally gives you in The Truth About Lies will change the game for you. It will push you the edge, leave you literally dangling and grasping for more, and it will have you so enraptured that you won’t know which way is up. And that is just part of what makes this such a spectacular book. 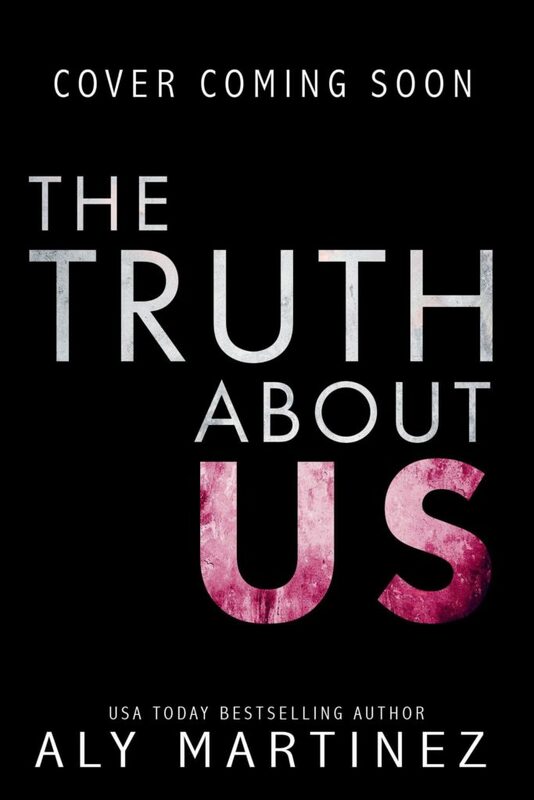 The Truth About Lies is a story of loss, unimaginable pain and anguish and heartbreak, and how your life, your circumstances, and your choices can bring you to places you never wanted to be. It’s a story of broken hopes and shattered hearts. In the same breath it is also a story of tenacity, of heart and fight, of love, for yourself, for others, and for the one who changes everything. It’s a story of One In and One Out, and the healing power of it all. This book is a story of the lies we tell ourselves and the truth we find. A story of what’s black and white, the in between, and the grey area that can give you everything if you let it. This is a story about what happens when the pieces break, when the picture of you and your life shatters, and how you put it all back together again when you’re not even sure how to take your next breath. 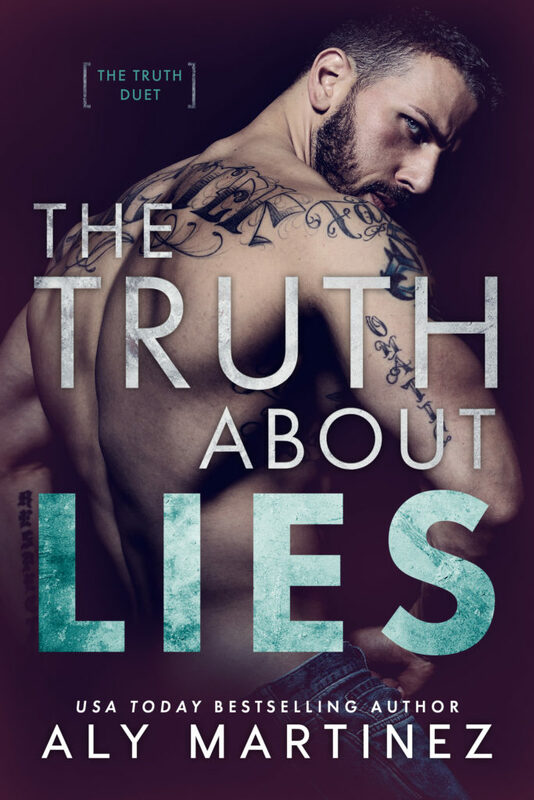 The Truth About Lies is a story of how far you are willing to go for the ones you love, for the ones you want to protect, for yourself, and for chance at the freedom and healing you never thought could be possible. This book is one you need in your life. It is one that will own you, move you, break you, make you, and take you to places you’d never thought you’d be, all while giving you everything you didn’t even know you needed. Trust me when I say that this book will own every part of your heart and soul, and believe me when I say that you will NEVER regret reading this book and falling under the unforgettable presence and spell of Penn and Cora. Truth: I LOVED this book and every single letter, syllable, word, sentence, paragraph, page and moment of this book was AMAZING. Truth: I’ve NEVER read a story quite like this one, and I doubt I ever will because that is how exceptional this story is. Truth: I have ALL the things to say about this book, and if you gave me all the time in the world, it still wouldn’t be anywhere close to enough time to capture how utterly incredible and spectacular this book is. Truth: I NEED The Truth About Us in my life, in my heart, and in my hands as soon as humanly possible. And that my friends is the biggest truth of all. Meredith Wild continues to deliver it all in every phenomenal word of this series. Just when I think there’s no way I could love this series more than I already do, she ups the ante and intensity of everything she creates. 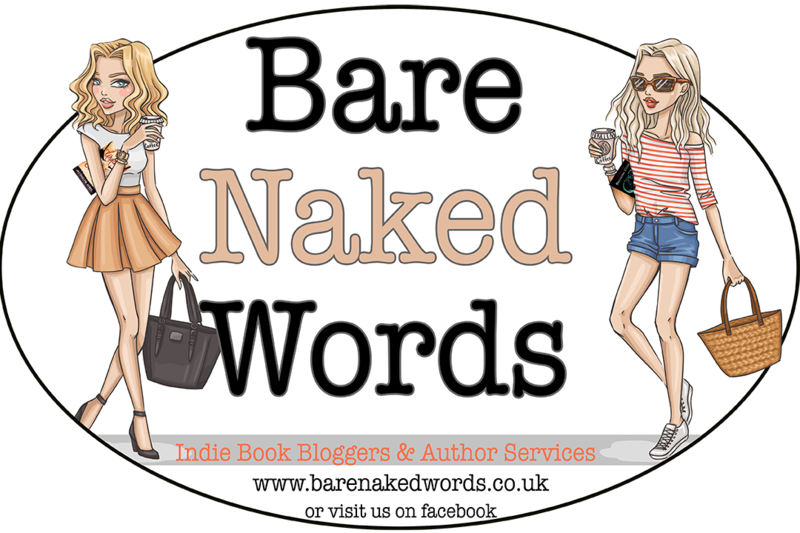 With every word of this fourth part of this series, I fell more in love with these characters, I became more addicted to their story and their world, and I found myself needing even more of it all than I thought possible. 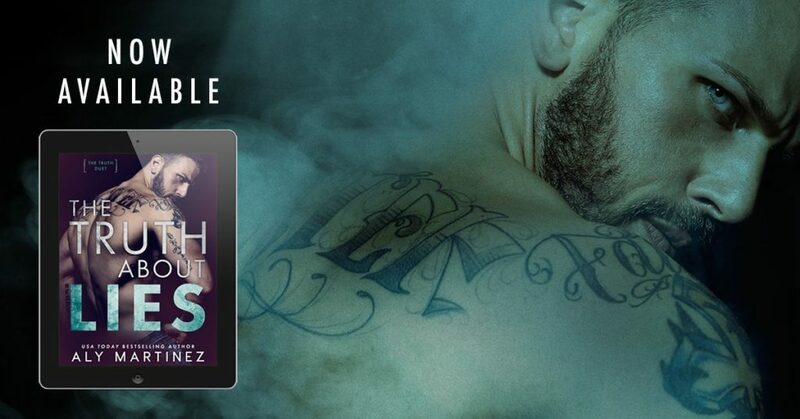 With what Meredith Wild so exceptionally creates in this series, she makes you need and want as much as you can get your hands on, and this fourth installment to this amazing series will leave you dying for more. Trust me. This fourth part picks up right where the last one left off, with Tristan and Isabel trying to do what they can to stay safe on the run, to keep themselves alive, and to figure out a way to make it out of all of this alive. The events of this book take them across the country to a multitude of locations, with more twists and turns than you can shake a stick at. They get more pieces to the puzzle in this part of their story, yet there are so many more questions to be answered. Who is really in charge? Will they make it out alive? What will come next? Who can they really trust? This next installment will give you so much with them. It will give you answers to many of the questions that this series has brought to your head. It will have you thinking and wondering and questioning everything as you read more of what unfolds. It will give you Tristan and Isabel as their love and relationship deepens and goes to knew levels. It will have you wondering what in the world the next pages and parts of this story will bring. It will give you it all…and then some. What I loved about this fourth installment was that it really started to push both Tristan and Isabel to figure out what in the world they were doing, what the plan was, and what all the pieces they were getting really meant. This fourth part pushed them both into situations they never thought they’d be in and it makes the reevaluate not only what their actions are, but what in the world they’re going to do with those hearts of theirs. This next part was everything to get with them, and getting to be right in the thick of it with them while they faced it all that came their way was nothing short of spectacular. I truly can’t say enough how much I am addicted to this series and this world. 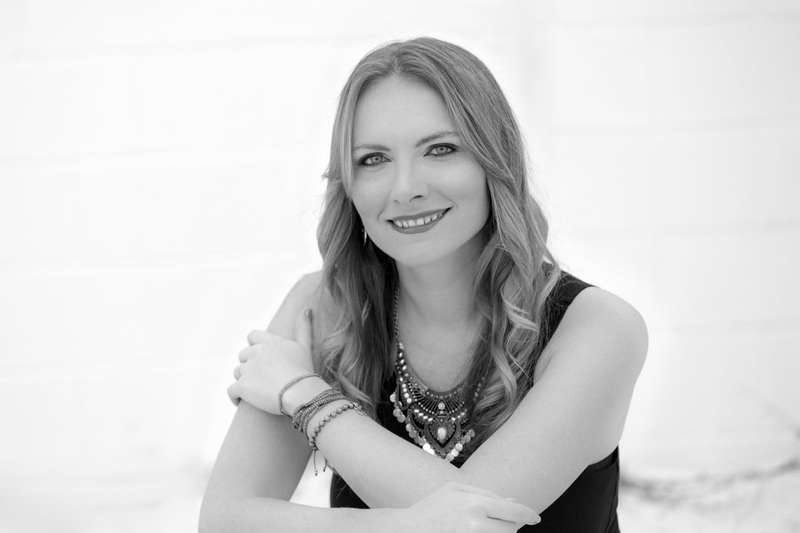 What Meredith Wild creates within the pages of this installment and this entire series is the perfect romantic suspense. It keeps you on your toes, brings the fire and heated connection that is as intense as the action these two characters face, and it brings you two dynamic characters who are fighting for their lives, for their freedom, and for their love and themselves. I have no doubt that Meredith Wild will continue to blow us all away with what she has planned for this series. If you have been reading and enjoying this series, you will absolutely love where this fourth installment takes you with Tristan and Isabel. This part will leave you guessing and wondering, it’ll have you on the edge of your seat and breathless from what you get with these characters, and in the end, it’ll just have you dying and so beyond ready for more. Meredith Wild truly delivers it all and then some in this book and series, and what you get with these characters will just have you loving it all the more!! 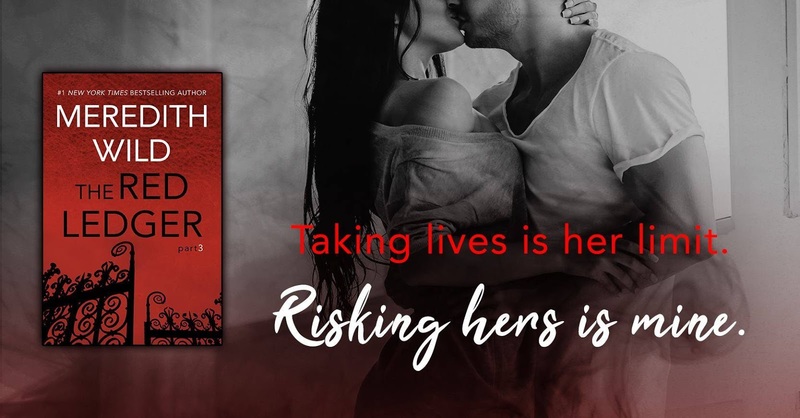 The Red Ledger Series is a romantic suspense series that will own you, rock your world something fierce, and take you on one helluva ride that you will never want to see end. From the shores of Rio de Janeiro, to the bustling streets of Washington D.C., to the sultry sidewalks of New Orleans, the first three installments of this series start the spellbinding and utterly consuming tale of Tristan and Isabel. He’s death for hire, she’s from his past that he remembers nothing of, and together they are about to find out what happens when things get very real and very intense. 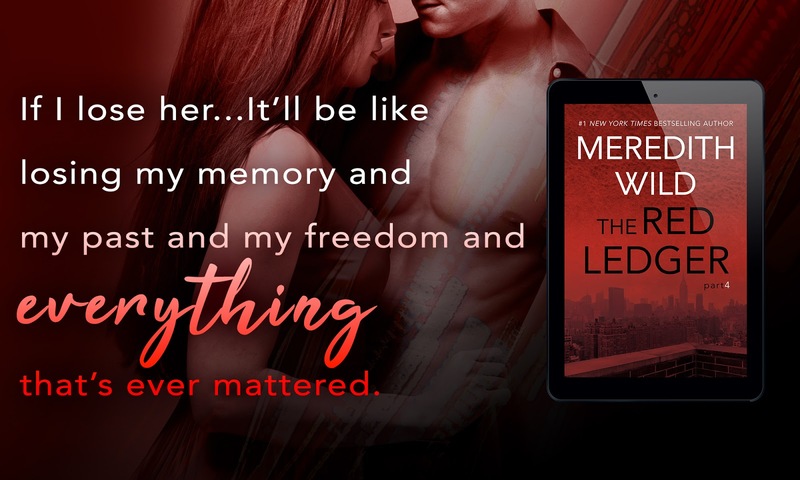 Told through Meredith Wild’s exceptional writing, The Red Ledger Series is the perfect romantic suspense read. It keeps you on your toes, it makes you question everything, and it has you right in the thick of it with these characters. I loved every single word, sentence, and page of their journey together, and even though they’re just getting started, I for one am already addicted to everything Red Ledge and everything Tristan and Isabel. Those two have one fiery connection that starts the moment you read this book. It is electric and tangible practically, and it is what sets this book and this story on fire. That along with the incredible twists and turns within the pages of this series will have you never knowing what that next page will bring, all while seeking the answers you need right along with Tristan and Isabel. From start to finish these first three installments were spectacularly crafted and brought to life, and all I can think about is when I will be able to get more of them. That’s how owned I am right now by this series, these characters, and by everything they share together. If you are looking for a read that is equal parts romance, suspense, intensity, and passion, with some serious twists and turns thrown in, run yourself to this series this very second! You will not regret it. One little bit.